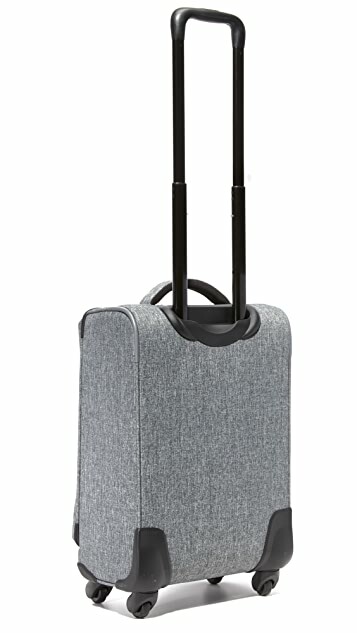 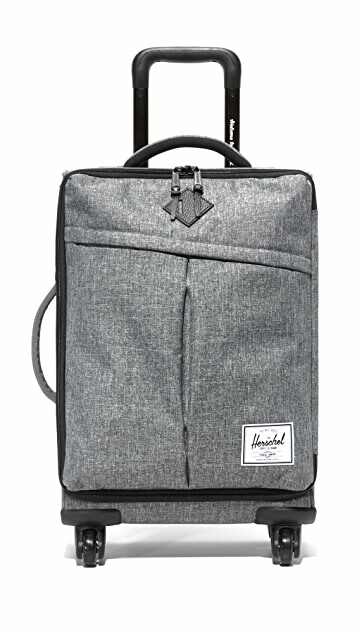 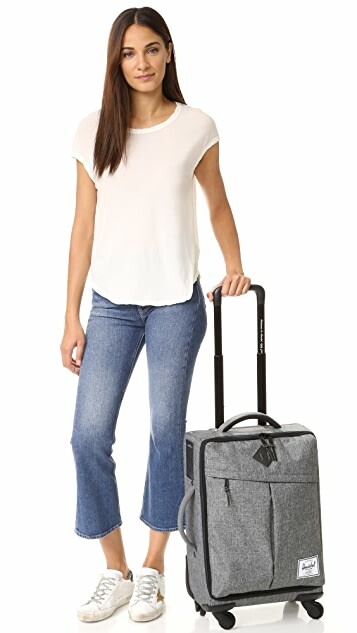 A hardshell Herschel Supply Co. suitcase with a retractable handle and bottom wheels for easy transport. 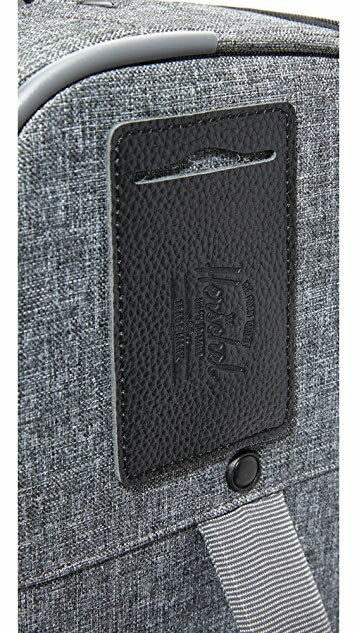 2 exterior zip pockets. 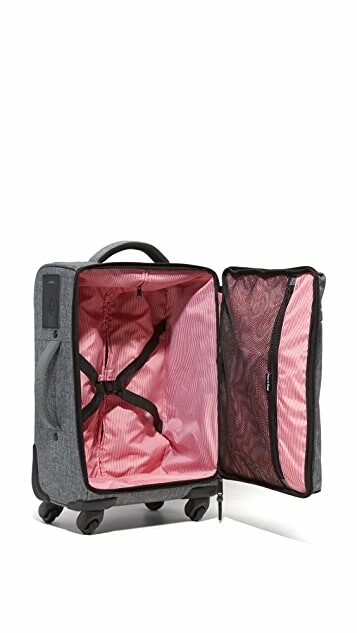 Lined interior with buckle straps and 1 zip pocket.